Trinseo (NYSE: TSE), a global materials solutions provider and manufacturer of plastics, latex binders and synthetic rubber, will highlight its expanded portfolio of MAGNUM™ ABS Resins in North America at NPE 2018: The Plastics Show in Orlando, Florida from May 7 – 11, 2018. MAGNUM™ has been a reputable brand in North America and Europe for decades. It is differentiated in the marketplace because of its mass polymerization technology which results in significant benefits including an exceptionally white base color, low gel levels, and low residual Volatile Organic Compounds (VOCs). 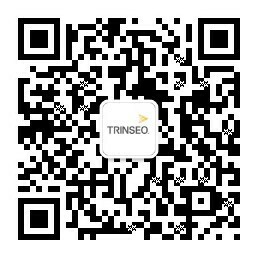 As part of Trinseo’s strategy to grow its ABS business, the company began ABS production in Zhangjiagang, China in 2017 in order to meet a growing demand in Asia Pacific. At the same time the company expanded its MAGNUM™ ABS grades offered to the North American market to include those which are particularly valued in Europe for their advanced performance properties. MAGNUM™ ABS Resins are available in both extrusion and injection molding grades. They are produced worldwide in Midland, Michigan, Terneuzen, The Netherlands, and Zhangjiagang, China. Customers can meet with Trinseo at the NPE show during casual happy hour receptions hosted with distributors Osterman and Jamplast. These receptions will take place on Tuesday, May 8, 2018 from 3:30 p.m. – 5:00 p.m. at the Osterman Hospitality Suite in the West Hall, W208B, and on Wednesday, May 9, 2018 from 3:30 p.m. – 5:00 p.m. at the Jamplast Booth in the South Hall, S10022. Contact Pam White or Bryan Lee to arrange an alternate time to meet.